Fresh,contemporary Hair and beauty salon offering quality services for men and women by friendly, highly qualified staff. Beauty services are also available including waxing, dermalogica facials, pedicures, manicures tinting and massage.Latest technique in hair extensions is also available.Stockists of GHD styling irons, Dermalogica, SP, Biotouch, TIGI and Sebastian hair care. Gift vouchers available. Open 6 days also open late 2 nights a week Tues and Thursday until 9pm. Sunday weddings available by appointment only. Endue cafe and homewares open 6 days, great to find that perfect gift for some one meet for lunch and a great coffee. Back in motion Physio and pilates. 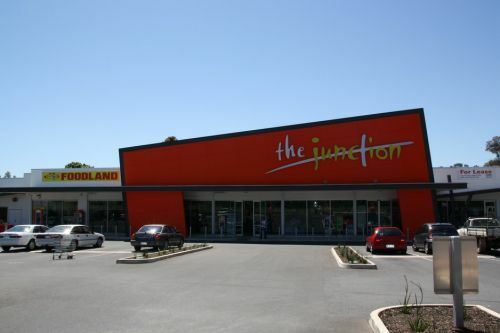 Chicken and Seafood take away, Bakery, Pizza bar, foodland, Jetts 24 hour gym and personal training. ample car parking available, public toilets, ATM, easy access from Nelson or Grand Junction Roads.